Are you new to using WordPress? If so, then you're in the right place! 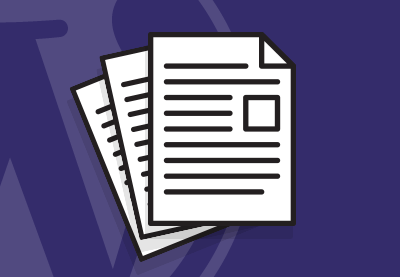 This guide will take you through the full process, from the basics of creating posts and pages right through to installing and customising your first WordPress theme and setting up plugins for security and performance. Learn what WordPress is all about. Install WordPress and create content using posts and pages. 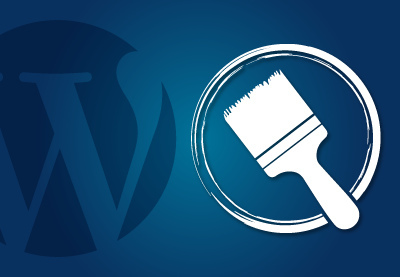 Install and customize WordPress themes. Find and set up the best WordPress plugins. 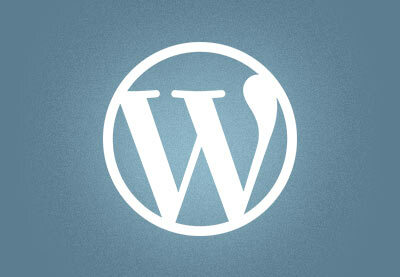 WordPress is software for the web that you can use to build websites or blogs. It's an open-source content management system (CMS) that can be used to quickly set up anything from a simple blog to a complex eCommerce site. Hosted: If you want to keep things really simple, you can get a hosted version of WordPress from Envato Market, which means you don't have to download anything or install anything on a server. Self-Hosted: If you want a flexible setup that you can customize completely, you can manually download WordPress and install it on your own server from WordPress.org. A WordPress theme is a group of files that determine the look and presentation of the content on your website. WordPress themes have been instrumental in driving the success of WordPress and allow users to quickly and easily change the way their website looks and works. WordPress themes are perfectly complemented by WordPress plugins. WordPress themes are for presentation, and WordPress plugins are for functionality. One of the great things about using WordPress is the vibrant plugin ecosystem. There are many thousands of different plugins available that can help improve every aspect of your site. In this guide you'll learn how to use WordPress and how to get the most out of WordPress using themes and plugins. The absolute best way to learn WordPress is by taking our course that teaches WordPress for beginners, which has helped more than 50,000 people learn to use WordPress. 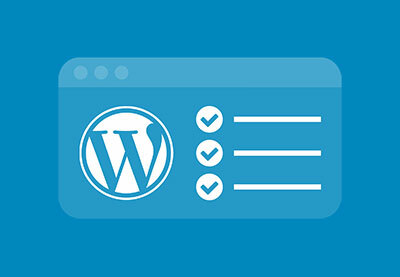 Once your site is up and running, you can learn the best way to fit your content into the WordPress content management system in our course on Posts and Pages. 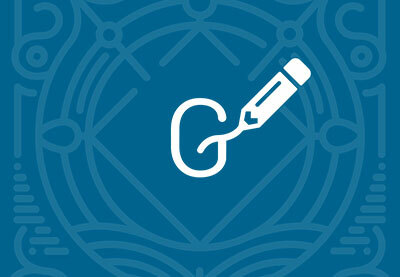 Gutenberg is a brand-new editing interface for WordPress. 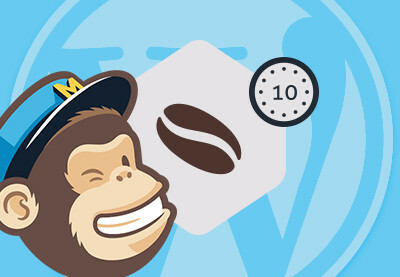 Gutenberg is a major change coming to WordPress 5 this year, and it will affect WordPress plugin developers, theme designers, and website creators. An Introduction to WordPress Gutenberg is the perfect starting point for learning what Gutenberg is, but you can dig in further with our tutorial First Look at WordPress Gutenberg. Rachel McCollin will show you how to set up Gutenberg as a plugin on your existing site, and how to get started using the Gutenberg editor to create content. Follow along and you'll get to experience some of the new features of Gutenberg first-hand. Gutenberg is a completely new way for people to create content for their WordPress sites. The new Gutenberg editor lets you create "blocks" of text, images, video and so on, which you can move around easily in your posts or pages. In Create Content With WordPress Gutenberg, you'll learn how to use the Gutenberg editor and blocks. You'll learn how Gutenberg lets you create and edit content in ways that you might not have been able to previously. 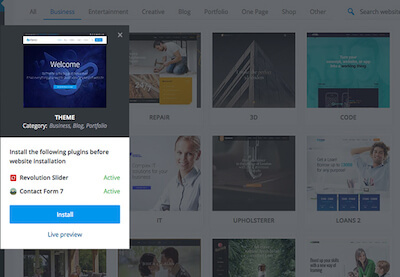 You'll learn how to create the different kinds of built-in blocks, including image galleries and text boxes. 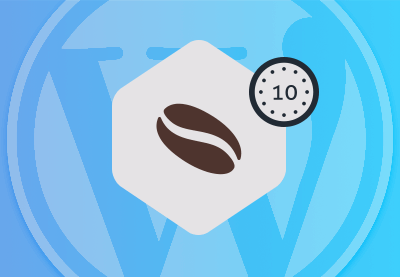 If you want to get up to speed really quickly or solve a particular problem, you should check out our WordPress Basics series of Coffee Break Courses, each just 10 minutes long. Creating a website has never been easier thanks to WordPress. Not only is WordPress very easy to learn, it’s the perfect platform to create any type of website. Thanks to the huge number of themes, you can get your site up and running in a couple of hours, whether you want to launch your business site, make an outstanding portfolio, or start a personal blog. Envato Market allows you to keep things really simple and create beautiful websites quickly and easily with a super straightforward setup and hosting service. 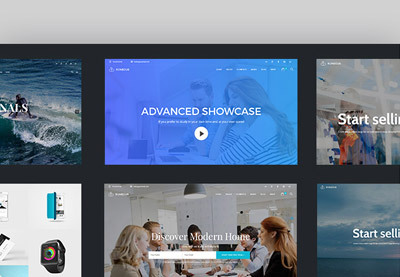 Envato Elements includes premium WordPress themes and plugins alongside 400,000+ creative assets and access to all Envato Tuts+ courses and eBooks. Building a portfolio site is a daunting and time-consuming task for many people, but with the right tools it can easily be done in a single hour. 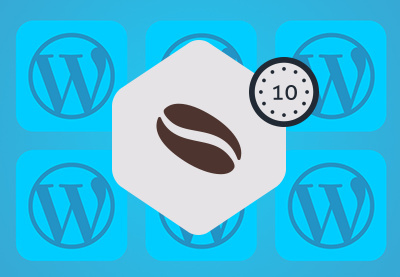 In this course you’ll learn how to download, install and customize the “Adios” WordPress theme, which will serve as the basis for our online portfolio. 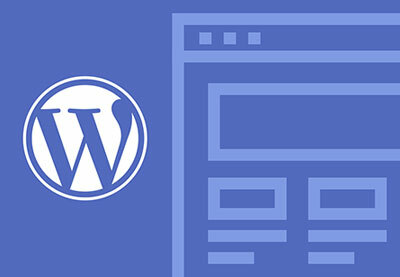 You can also learn how to build a WordPress website using a theme in our WordPress tutorials. WPBakery Page Builder for WordPress (formerly known as Visual Composer Page Builder) is arguably the most popular page builder on Envato Market. 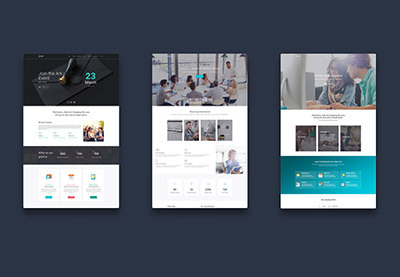 Sitting at over 350,000 sales to date, this plugin is bundled with a large number of WordPress themes sold on ThemeForest and Envato Elements. Learn the basics of working with Page Builder in this course, from the installation process and setting up the plugin, through to creating and using templates. SEO isn't just about installing a plugin and expecting it will do all of the work. It takes a lot of careful planning and work to make your site SEO-friendly. In WordPress SEO Without Plugins you'll learn some techniques and best practices you can use for better SEO on your WordPress site without an SEO plugin. You'll learn how to improve performance and your site's structure for better SEO. 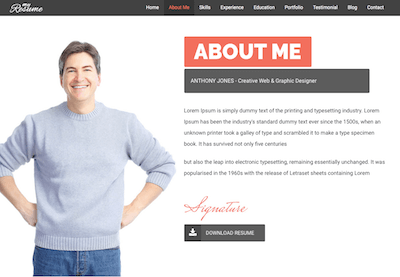 Customizing existing WordPress themes is a great way to get the look you’re going for, but if you’re not careful, when you update your theme, you can easily lose all of the customizations you’ve made. In this short course, you will learn how to use child themes to customize your WordPress websites, so you can make all the changes you want without worrying about losing them. One of the great things about using WordPress is the vibrant plugin ecosystem. There are many thousands of different plugins that promise to improve every aspect of your site. With the right plugins, your WordPress site will run more smoothly, get more visitors, and be less likely to face problems. In this course, you'll learn how to install and configure free plugins for backup, security, caching, and SEO. 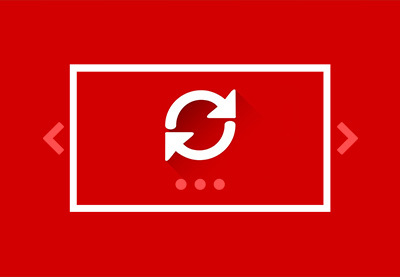 In this short course you’ll learn everything you need to know to get started using the amazing Slider Revolution plugin for WordPress. 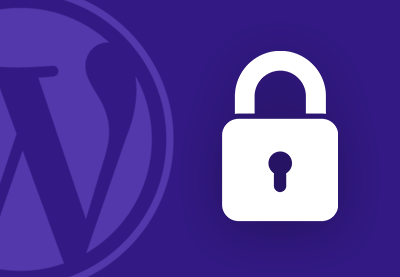 Dig deeper and set up your WordPress sites in a way that will enhance their security, give them a strong SEO foundation, and optimise their speed in our course on WordPress security. 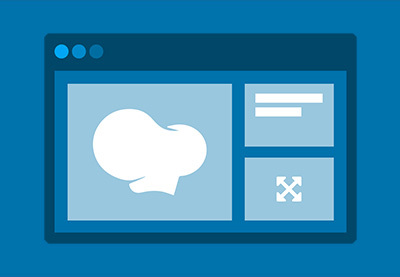 If you want to start selling online, then you'll need to get an eCommerce platform set up! 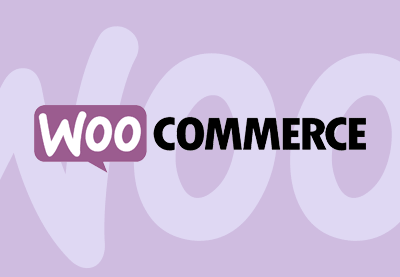 There are several easy options that work well with WordPress, but WooCommerce is the most popular eCommerce platform for WordPress, powering more than 500,000 sites across the web. 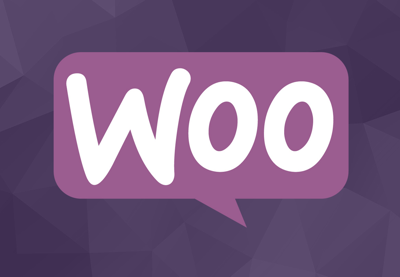 Get going quickly in our practical guide, you might be surprised at how easy it is to get up and running with WooCommerce! Learn how to create your own online store with WordPress and WooCommerce in our Beginner's Guide. You’ll learn how to install and configure WooCommerce, add products to your store, and get the whole thing set up. This Learning Guide will continue to be updated with all the latest and greatest WordPress tutorials and WordPress training courses to help you learn WordPress and stay up to date. To keep up with all the WordPress content we publish, remember to sign up to our weekly digests to get a comprehensive summary of all our new web design tutorials each week, follow @wdtuts on Twitter, and like the Envato Tuts+ Web Design on Facebook.